• PLOT SUMMARY: Written by James Robinson. Cover and art by Eddy Barrows and Ruy Jose. Black Lantern Superman has unearthed Pa Kent's grave! But that's only the beginning of the horrifying things he's about to unleash on an unsuspecting Smallville. 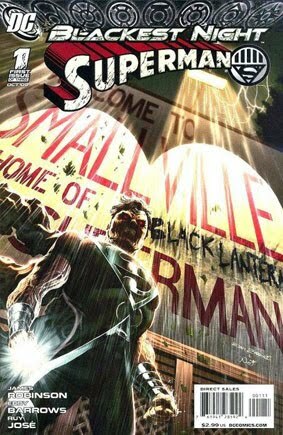 Kal-L is raised from the dead as a Black Lantern, and his first stop is Smalville where he kills the citizens one by one until he finally makes it to the Kents.